Nine-year-old Mary Seymour is incredibly relieved when a lovely, intelligent, and kind woman called Lady Strange comes to claim her when Mary’s guardian, the duchess, dies. Lady Strange is going to be Mary’s new guardian but unlike the late duchess, Lady Strange is going educate Mary. Mary is going to be turned into a lady; she is going to be a woman of whom her mother, the last of King Henry the VIII’s queens, would have been proud. Mary’s mother died just six days after Mary was born and she was a very intelligent, well read woman who earned the love and respect of many people, including Lady Strange. Mary is not with Lady Strange long before she learns that she has a very important destiny: to serve the “virgin queen” as a white magician. 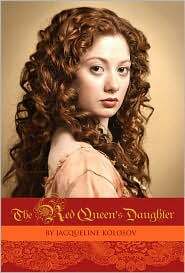 Mary is told that Lady Elizabeth, Henry the VIII’s second child, will soon become queen and when the time is right Mary will be called upon to serve that queen. In the meantime she must learn all she can of the white magician’s arts so that she will be ready when Elizabeth summons her. Sure enough, when Mary is sixteen she is invited to come to Whitehall to meet the Queen and soon after she joins the queen’s household. Lady Strange wants Mary to do what she can to keep an eye on things and to make sure that the Queen is safe. Mary quickly learns that two people in particular are power hungry and therefore very dangerous. One is her cousin, Edmund Seymour, and the other is one of the ladies, Vivienne Gascoigne. It is not long before Mary is convinced that handsome dashing Edmund has been using magic to cause mischief in the court. With her constant companion at her side, Perseus the magical hound, Mary sets about trying to fix what she can and to get to the bottom of Edmund’s deceit before it is too late.